As it turns out, no one likes government surveillance. Not even some US Senators. At least when they know it’s not the US government doing it. Recently two United States Senators have written a letter to Tim Cook, the CEO of Apple. In the letter, they have asked the CEO as to why Apple, according to some reports, removed VPN applications from its App Store in China. The Senators also wrote that if the reports that have come out so far are describing the truth of the matter then they had concerns about Apple enabling and assisting the government in China in censoring and surveilling the internet. Now even though the two United States Senators have raised an important issue, but that doesn’t change the fact that the US government itself is no slouch when it comes to surveillance. Of course, the Chinese government is doing its bit quite well as well. Most of the media reporting on the issue now believe that the Chinese government has launched a crackdown against VPN applications. The Chinese government doesn’t want any application to evade its Great Firewall. But that hasn’t stopped developers from coming up with newer tools and services to evade their censorship measures. The Chinese government has pressurized big technology companies such as Apple over the last summer or so as well. And it seems Apple finally had to give in to the Chinese government demands about a couple of months ago. Media reports have now revealed that Apple started to remove many of the most popular VPN applications from the company’s App Store in CHina around July 29. 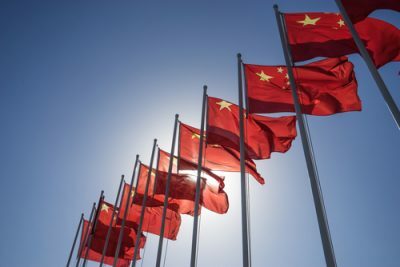 Apple representatives did have the common courtesy to inform the then popular VPN service providers that the Chinese government considered VPN applications as illegal in the country. Hence they had to remove them from their Apple Store. Apple informed all the affected VPN service providers that Apple would remove their apps from the China App Store. Apple assisted the Chinese government in restricting internet access in China. Because VPN apps included content that Chinese rules considered as illegal. And hence these VPN apps did not comply with the Apple Store Review Guidelines. Now two US Senators, Patrick Leahy, and Ted Cruz have sent a letter to Tim Cook, the current Chief Executive Officer at the company. And in the letter both have raised concerns about Apple’s move to ban VPN apps in China. 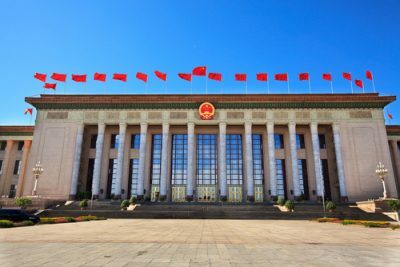 The two US Senators have noted in their letter that if the reports coming out in the media said the truth then Apple would practically be assisting the Chinese government in its restrictive approach to the online world, the internet. The letter from the two US Senators also said that VPN services allowed online users to access the internet in an uncensored manner in countries such as China. VPN services also did the same when it came to other countries that had restricted internet freedoms for their citizens. Moreover, the letter said, if the reports talking about Apple removing apps told the truth then they had concerns that Apple might have involved itself as a company that has enabled the Chinese government to surveil and censor the internet more effectively. The letter from the two US Senators also described China. It said that China, as far as countries go, had a terrible record on when it came to human rights. The two US Senators also cited Reporters Without Borders. This is the same organization that previously labeled China as a country that acted as a sworn enemy of the internet. Leahy and Ted Cruz did praise the technology giant, Apple, for the company’s massive effort in contributing to the spread of unrestricted information. But then, both criticized Apple for not showing enough resistance and sort of going along with the demands of the government in China. The Chinese government wants nothing else but to suppress communication and knowledge, say the two US Senators. The two US Senators also wrote that while Apple had made tremendous contributions to the global exchange of free information (and they admired the company for that) but removing VPN applications from its store achieved nothing positive. The letter mentioned that VPN apps allowed individuals in China to protect themselves against the Great firewall. VPN services also allowed people in China to access the online world, the internet, in a private manner. And hence, Apple banning VPN apps robbed these people to speak up in a free manner. The letter also pointed out that, on the contrary to Apple’s previous work, if Apple continued to comply with such unfair demands from the government in China, it would inhibit free expression for everyone in China. And the letter specifically mentioned the problem with regards to the new regulations that the CYberspace Administration of CHina has brought forward recently. The new cyberspace regulations in China essentially targets issues such as online privacy and anonymity. In the month of January of this year, the Chinese MInistry of Industry and Information Technology published a notice. 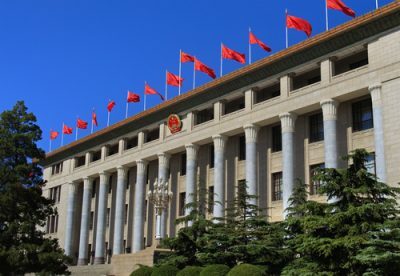 The notice informed to all concerned that the Chinese government had successfully launched a campaign to take down unauthorized local internet platforms. Moreover, the notice said, the campaign would continue for a period of 14-months. What did that mean for VPN services? That meant, if the Chinese government did not approve a VPN service app, then it could not operate in China. 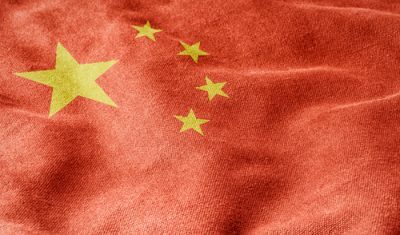 The Chinese government had to pre-approve VPN services before they could start to operate in the region. But the Chinese government didn’t stop there in its quest to launch an aggressive attack on VPNs in general and VPN service providers. Back in September (about a month ago) a Chinese court sentenced a Chinese man to nine months in jail for selling a VPN software that allowed users to evade the Great Firewall. Some weeks later, the Chinese government arrested and then detained a man for three days. For developing a VPN service for himself and then selling his service to others for use later. It doesn’t take a genius to recognize that there is a clear pattern here. And the two US Senators in question have noticed the emerging pattern. That is the reason why both are demanding Apple’s CEO Tim COok to take a timeout. And respond to some of their questions. In fact, they want Tim Cook to answer a total of ten questions. You can read more about those questions by clicking here. Generally though, the questions, again, raise concerns about issues such as the Chinese government demanding Apple to remove VPN apps. One of the questions also demands from Tim Cook to detail the number of apps Apple had actually removed from this Apple Store in China. The two US Senators also asked Apple to supply copies of any and all pro-free speech official statements that the company may or may not have made in China. Will The Letter Make The Intended Difference? That is something no one can tell right now. In fact, we’re not even sure if Apple would want to respond to such questions. But what about making the difference in China? That seems unlikely as well. Of course, only time will tell if the two US senators can make something happen on the ground with a simple better. We can expect some benefit from the letter though. The public involvement of any official, let alone two US Senators, in an issue can raise its profile. And if we throw a technology giant like Apple into the mix then that can further thrust issues such as privacy and censorship in the general public’s eye very quickly. The CCIA group wants to “guide” the US government on how it should proceed against Kodi. Technology giants in the US have warned the US government against making Kodi a scapegoat. CCIA, which basically represents global technology firms such as Netflix, Google, and Amazon, has cautioned the United States government to stop blaming applications such as Kodi, which is an open source media player, for issues such as streaming box privacy. The CCIA has also mentioned that the US government should take action against people and entities who misuse the software. Hence, law enforcement agencies should go after people who infringe content. Not who code the application itself. Just this past month, multiple groups belonging to the entertainment industry shared some privacy concerns the had with the United States government. They actually made a complaint to the government’s Trade Representative, or the USTR. The group pointed out some traditional services and websites along with pirate streaming boxes. Moreover, the MPAA also talked about other issues related to privacy and applications that enable piracy. The MPAA noted in a statement that streaming piracy represented an emerging but global threat. And piracy devices that came preloaded with a software enabled it quite comprehensively. These piracy devices allowed users to streaming movies illicitly. The MPAA also said that these devices also infringed other television programming. Moreover, the MPAA said, the number of infringing addons that these software applications came with represented a burgeoning ecosystem. Fast forward to this week, and the CCIA (Computer And Communications Industry Association) noted that the USTR should exercise more caution. And not blame open source media players like Kodi for piracy. 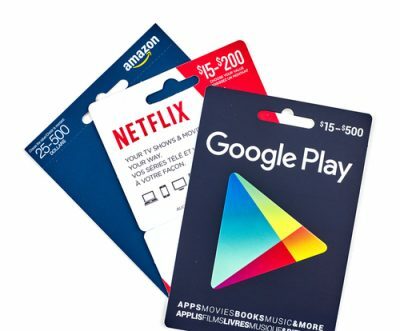 The CCIA consists of companies such as Netflix along with Facebook, Google, and Amazon. And it made its position clear that the USTR must go after people who infringe content rather than the creators of a software application. The CCIA’s rebuttal basically clarified that open source media players like Kodi did not constitute the problem here. The group wrote and gave another example of commenters who raised concerns and issues about generalized technology. No prizes for guessing that the CCIA pointed out the MPAA’s bad characterization of open source and customizable set-top boxes that utilized multimedia players applications such as Kodi. THe CCIA also wrote that the MPPA mischaracterized other services that allegedly enabled one-click installation software modification of these set-top boxes. Of course, the MPAA has recently also gone after other internet-connected devices for enabling piracy as well. Because recently the MPAA has clearly mentioned that it did not consider Kodi, itself, as unlawful. But that doesn’t matter to the CCIA it seems. It continues to stress that the MPAA and the US government should direct their enforcement actions against infringers. And people who break the law. The CIAA also mentioned that software developers did not represent the real targets. Vendors who sold those streaming piracy boxes that came with pre-loaded infringing Kodi addons should be the ones the MPAA should be going after. The letter from the CCIA mentioned that all enforcement activities must focus on copyright infringers themselves and not on a general purpose technology. That general purpose technology obviously refers to a specific operating system for set-top boxes. The CCIA said that technologies such as that had useful application both in unlawful and lawful activities. It further added in the cautionary letter to the USTR that open source software applications for home electronic device operation unquestionably represented something legitimate. And it also had the capability of substantial non-copyright-infringing uses. We have already mentioned the fact that MPAA doesn’t want to get rid of Kodi. In other words, the group’s submission did not characterize the open source media player Kodi as illegal. What the MPAA does have a problem with is TVAddons.ag. TVADDons.ag, according to the MPAA, is a piracy Kodi addon repository. TVaddons’ new incarnation, of course, didn’t appreciate the new label. ANd it made it known by scolding the MPAA for those comments. TVAddons also mentioned that the repository only received a few DMCA takedown request in the last couple of years. The Kodi addon repository further said that in its entire history they had only received a grand total of five DMCA takedown notices in all. FUrthermore, the team behind XBMC HUB, OffshoreGit and TVADDONS said that two of the five DMCA request turned out as bogus. And none of the DMCA takedown requests came from an affiliate of the MPAA. Kodi isn’t really the problem. At least that is clear to most of the parties. But its add-ons may represent a huge problem for certain groups. And that is what the CCIA is trying to highlight. Of course, there are many people who still don’t have a clear idea on the line between non-fringing and infringing content. And that’s why the lawsuits against TickBox and TVAddons carry immense importance. These could potentially clear up confusions such as those of copyright infringement for all generations to come. If you want to read more about CCIA’s letter (or submission) then go to this link for the full version. And subscribe to Security Gladiators for more stories related to the MPAA and CCIA.